Star Wars is the most beloved science fiction/fantasy epic of all time - spawning merchandising, licensing, and products the entire world over. Gentle Giant's line of products is based on original scan data from the Lucasfilm Archives, as well as on-location work. The littlest hero of the Republic, R2-D2 is perhaps the most famous unit in the R2 series. Bold and fearless, even for a droid, R2's brashness is matched only by his unyielding loyalty to his master, Anakin Skywalker. 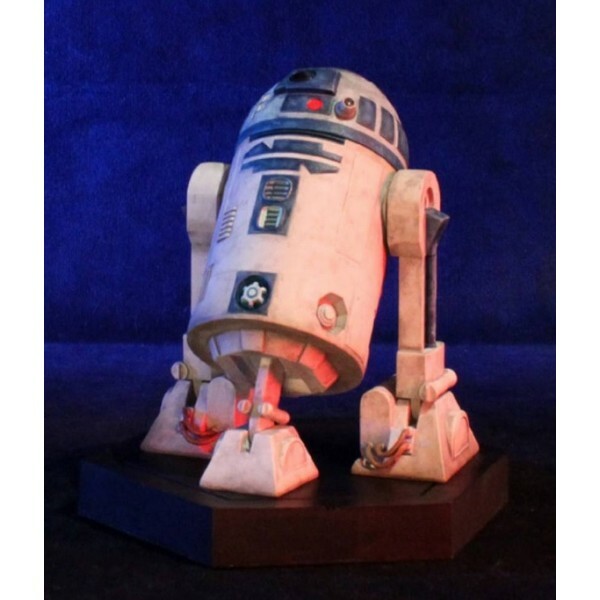 Beautifully rendered in polystone, this maquette features R2’s unique likeness from The Clone Wars Animated Series.